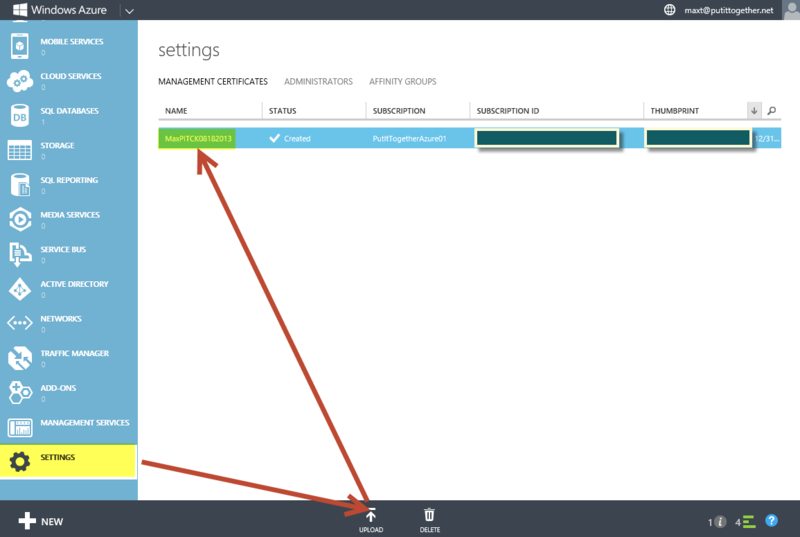 These three items are important before connecting Windows Azure. 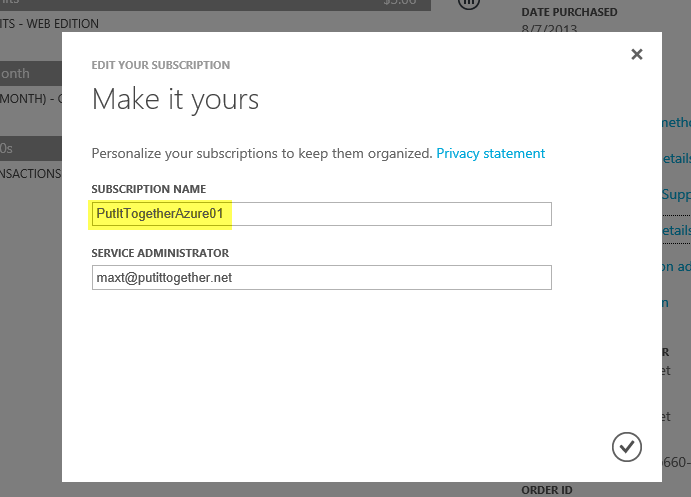 Then, will be using 3 PowerShell Azure cmdlets to connect to your subscription. I recently finish updating my new Windows 8.1 (booth-VHD) and loaded all my tools. So when I started to install Windows Azure PowerShell, I was expecting it won’t work with PowerShell 4.0. Well, Good Job Microsoft! It did installed and I got my Windows Azure PowerShell working with PowerShell 4.0. The latest revision, dated July 31st 2013, will let you install Windows Azure PowerShell on you Windows 8.1 preview. This is exciting Good News. A couple of months ago I try it on my Windows 8 but the installation failed because of PowerShell 3.0. For renaming your subscription is better to use the Portal. It make sense to change your subscription name from “Windows Azure MSDN – Visual Studio xxxxx” to something meaningful like, for example: “MyWindowsAzureSubscription30DaysLimit“. Note: It is not required to change the subscription name. 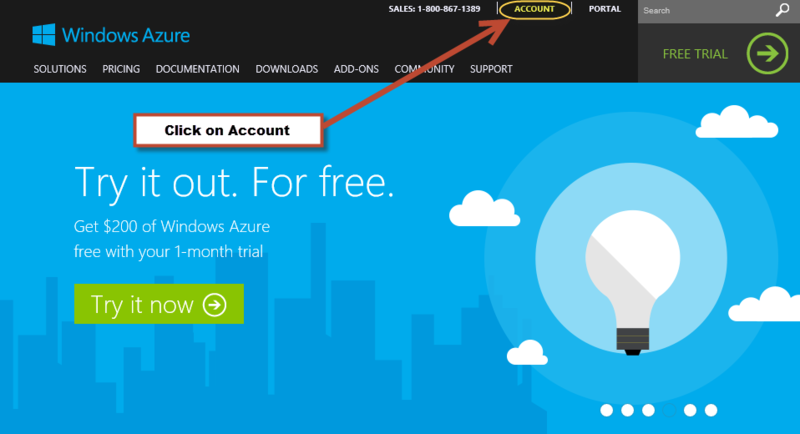 Or, at the Portal you can change it by clicking on the UserID, then “View my bill”. This will require to login again. Finally, click on the “Edit subscription details” to change the name. Tip: You need to have installed You could use Visual Studio in order to run the “Makecert.exe” command from the Visual Studio command shell. Or, download the “Windows Software Development Kit (SDK) for Windows 8” to get the “Makecert.exe”. 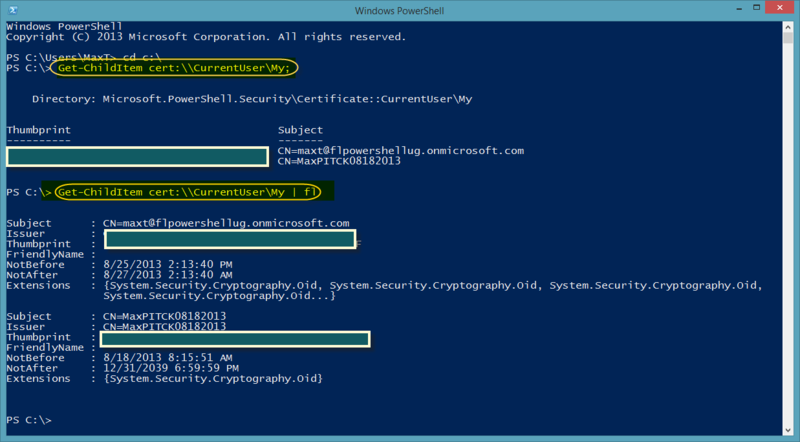 Now everything is set to use PowerShell with Windows Azure. There’s no need (for now) to use the Portal web GUI. 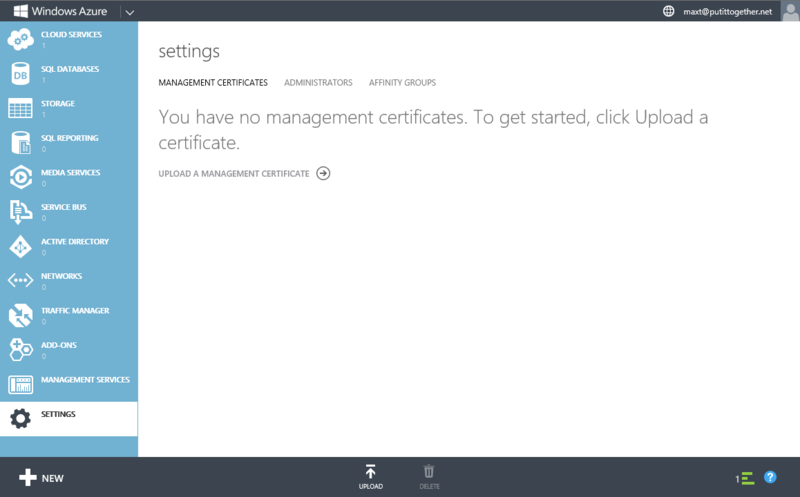 In the following script need to include the Certificate key information as this is part of the Windows Azure credential to connect to your subscription. This is why using the previously shown “Get-ChildItem cert:\\CurrentUser\My | Format-List;” one-liner help you understand about the Certificate(s) in your system. Note: Import-Module Azure is optional if working with PowerShell 3.0 or 4.0. 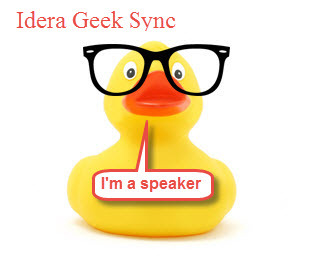 After verifying connectivity to Windows Azure was successful then we can process to build VM’s, SQL Databases, and more using PowerShell. 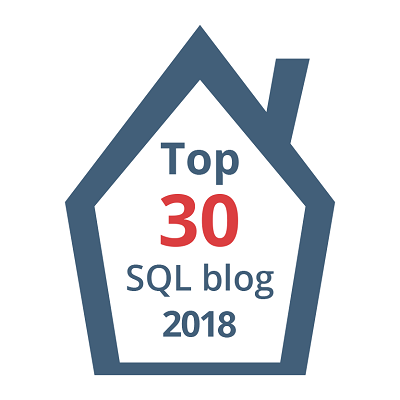 In my next blog I will be showing how to use PowerShell Azure commands to build a Windows Azure SQL Database, and use SMO with it. QuickBlog – PowerShell function to get system last bootup time.